MAME's mission is to emulate multiple arcade and home gaming consoles, as well as older PCs. Every once in a while, we get a question about those old games that were once the bleeding edge of entertainment in arcades and bars. Invariably from someone who played them and misses them—not from the current generation of cell-phone gaming addicts. But even if you’re the latter, you might want to see how your parents amused themselves in the days when Pong, Asteroids, and Galaxian were the height of gaming technology. You can easily do so right on your PC. Adventurous programmers have long sharpened their skills by writing emulators for a vast array of computers, game machines, and gaming consoles. For the last decade or so, however, the big project has been MAME. Note: While this article touts MAME's arcade and console emulation, it’s also intended to emulate just about anything that’s ever computed: various computers, calculators, and even chess machines. For emulating arcade games, there’s nothing remotely as competent as MAME, or the Multiple Arcade Machine Emulator. The program supports literally thousands of arcade and gaming console titles by emulating their hardware and loading their ROMs (Read-Only Memory). 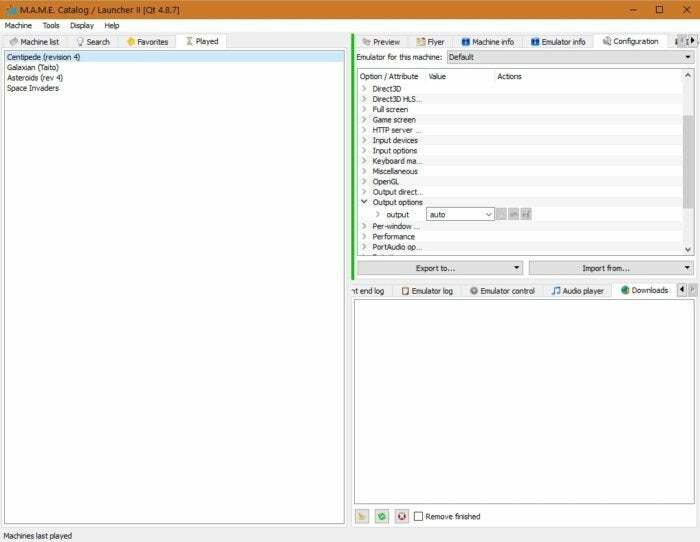 These are now actually files that contain dumps of the code or data in the chip/chips from the original console or cartridge. Yes, software once came hard-coded in chips and in the form of a cartridge. Can you imagine that happening in this day and age of release-it-before-it’s-ready, user-tested software? Believe it or not, a bug in your code used to be a mark of shame. The arcade version of Atari’s Centipede playing inside MAME on a PC. MAME is available from the MAME Development Team's website. At the time of this writing, the latest version was beta 0.184, but don’t let the not-finished status throw you off—this is a project that’s likely to be in beta forever. Emulating everything that’s ever existed in the gaming world, from Pong, to the Atari 2600, to the Amiga and beyond, is a daunting task. MAME has its own rather primitive GUI that appears if you run it on its own, but there are more pleasant-looking and easier-to-use front-ends. I opt for QMC2 because it’s cross-platform (like MAME: Windows, OS X, Linux), updated regularly (the MAME catalog and ROMs change frequently), and easy on the eye. Initially, you must point the QMC2 to the MAME directory and its subdirectories, but that’s a relatively simple task. The more business-like QMC2 front-end for the MAME arcade emulator. 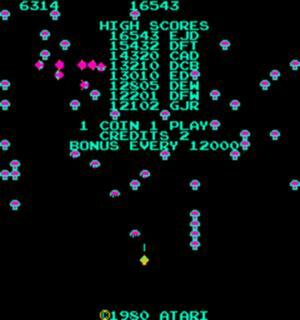 The QMC2 arcade interface is shown at the top of the article. Probably the trickiest part of the whole deal is finding the games. MAME doesn’t provide them because they don’t have legal access to most of them, and the developers are more concerned with providing the means. But if you search the Web, you’ll find sites dedicated to providing MAME ROM files, as well as ROM files for other emulators. When you find the ROM files, they’ll most likely be ZIP archives. Don’t unzip them, just save them in the MAME\ROMS directory. 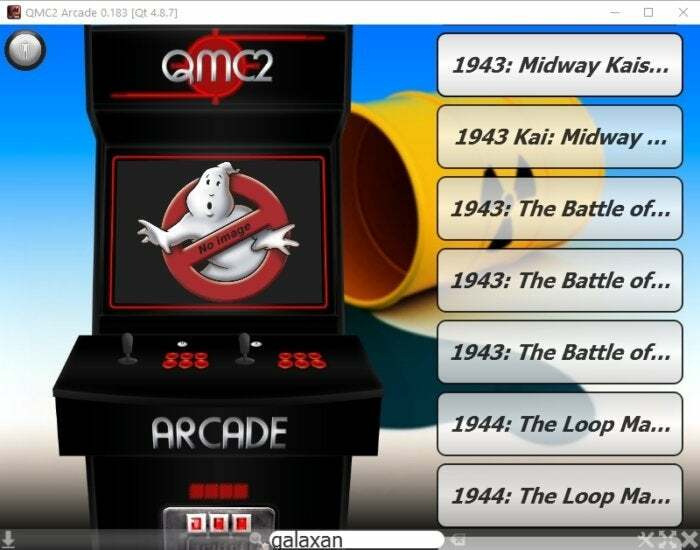 MAME can read the archives, and it’s a nice way to hide what can be a confusing array of files (some games used multiple chips), and keep things neatly organized. You’ll see a vast list of games when you run MAME, which represents all those supported or being developed by the project, but there should be an indication of which are actually in the ROMs directory. You can also search. Once you find the game, simply double-click on it, hit the spacebar to scoot past the game info, and you’ll be good to go. As far as keyboard commands go: 5-9 insert coins, 1-4 start the game, arrow keys move, and the left Control and Alt keys do things like fire cannons and invoke hyper-drive. As I mentioned, there is a bit of a legal issue involved here. Unless you own the game and any firmware and software required, you’re breaking copyright rules. Does anyone care? Unless you’re making money off of it, probably not. The whole idea behind MAME is to save an important part of computer history, and it’s doing that quite nicely. If left up to the original developers and copyright holders, it’s highly doubtful many would survive. But you’ve been warned. 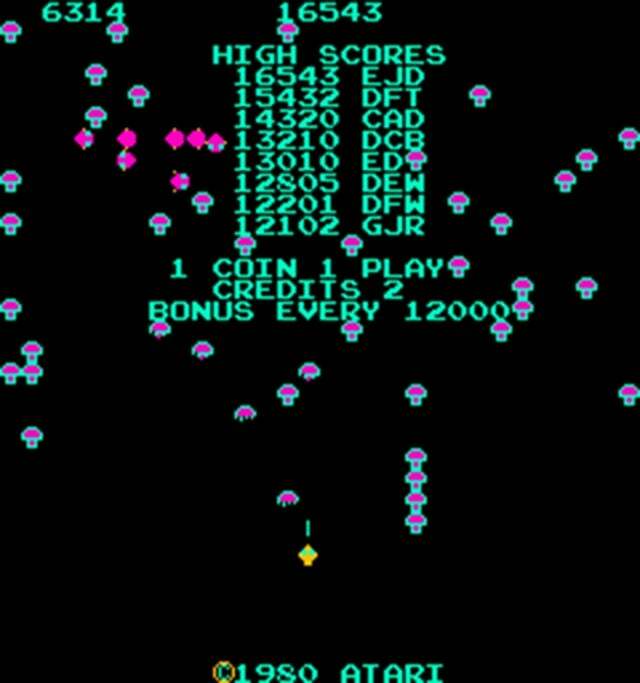 Regardless, MAME allows you to relive the days when arcade games were simple, graphically challenged (we didn’t think so at the time), and readily recognizable for what they were—a fun way to waste time and quarters.